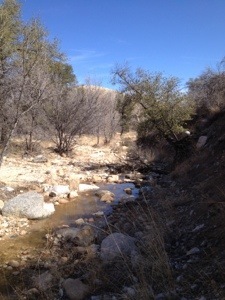 Last weekend, I traveled to a beautiful desert canyon, not well visited by many folks, where the Manzanita are dying from the drought, but the oaks, junipers and sycamores still cast their shade over a trickle of a spring stream, to gather with a group of herbalists to share information and skills about plants and healing. I found myself in a group of anarchist, herbalist, activists resisting actively against all that this culture is destroying. Not my friends. But they are my people. I am not an activist but I deeply respect those who feel the call and urge to stand in those front lines of resistance. I know this is necessary this is part of the actions we must take, how we must change the world. Resistance is my cultural imperative. Because I choose not to go back to sleep. Not to get the wage slave day job to pay the enslaving corporations for more stuff, more credit, more more more. I don’t stand on the front lines at the protests. I stand on the line between giving in to what society says is the right way to live- and showing those who are willing that there is a different way. There is a place where the plants will speak to us clearly, the land can heal us just by our connection with it. That there is a wisdom in the world around us, that it is all sacred. That it is worth fighting for. It is worth resisting the machine of capitalism and oppression and war. It is my place to open these doors and windows to those who will hear. To those who will carry the message of love of the land in their being. There was much needed discussion about common sexually transmitted infections, and effective herbal alternatives to the harmful pharmacuetical and medical treatments. There was community built around building ties between unlikely groups of people. 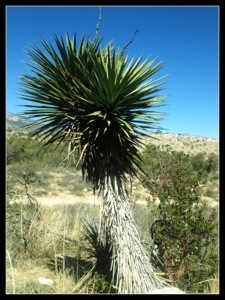 There was listening to the Yucca, guided by another amazing plant whisperer, whom I respect deeply. I shared the spirit, and medicine of the local trees, and those that span the western U.S. There was cooking together with friends in the sunny cool morning, and sleeping under the full moon spotlight while shivering in a sleeping bag as frost lay upon the earth. This is not for comfort and safety, it wasn’t just for fun, it wasn’t just for talking about plants. This was a clarion call to my heart. To remind me of what I truly believe in, which is easily gets buried in the day to day to do list. To remind me that resistance is imperative. That each of us doing our part to change one mind, one heart, one community, one law, and one world is absolutely necessary. Don’t go back to sleep- whispered the moon and the dying manzanita. Don’t go back to your comfortable little world. Push beyond where you have been, go farther out than you have before, take the hands of those who will go, and go deeper, deeper into the wild medicine of nature, into the sacred magic that screams in your dreams. No more denying who you are, and what you are here to do. No more disparaging people who are different than you. We are all in this together. We are all fighting for change. And to tell me, its time. Time to change the way you’ve been doing what you do. Time to step it up a level. Time to take it deeper. Time to sink below the surface presentation and swim in the depths of sacred earth soul. 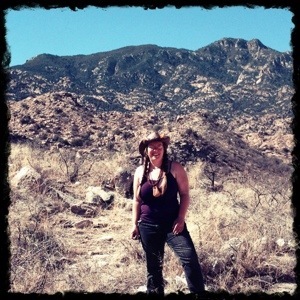 Healing, my own especially, has showed me that just taking the plant medicines is not enough. Its not really about the constituents in the plants that act on your physiology. Its the wisdom that the land is speaking. Its the teaching that the plants share in our emotional and spiritual bodies. Its relationship. Its why the elderberry elixir I made from the fruits I hung off a rainy slippery mountain side to gather works better than the syrup bought at the store. Its why each and every one of my students can open their heart and hear the message of Manzanita loud and clear- without any prompt or previous information. Its why we are here. to connect. to be in relationship with each other, with the plant medicines, with the land we live on, and deeply with our selves and the spirit in everything. Herbalism is Radical. Radically life changing. Radically world shifting. Truly appreciate this heart sharing. Feeling stuck and defeated and questioning my decision to follow my new path. Thank you for your honesty.